Our most formal restaurant, the all-new Chophouse builds on the island-wide reputation of its predecessor, the French Steakhouse, serving exquisitely crafted cuisine in a more modern, exclusively indoor space. Our guests’ go-to for the finest cuts of beef, fresh caught Caribbean fish, local delicacies and international favorites, the restaurant’s menu highlights include Grilled Lamb Chops, Pan-Seared Filet Mignon, Sesame-Crusted Ahi-Tuna and Shrimp and Scallops finished with Coconut Curry. 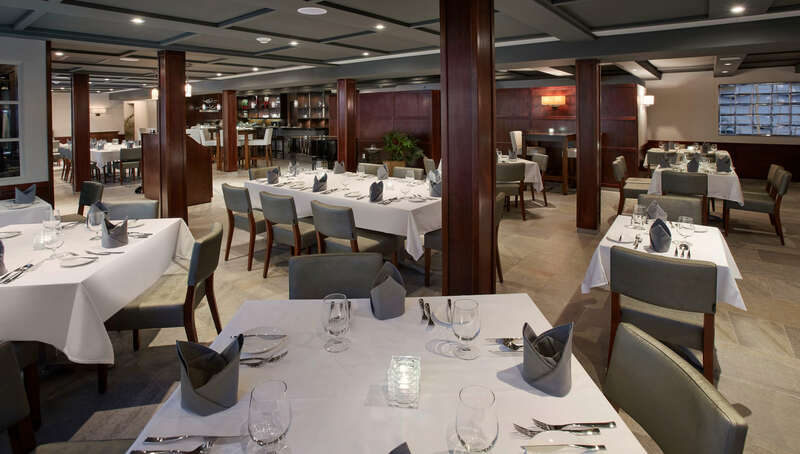 Sleek and modern, the Chophouse exudes island sophistication, with warm wood paneling and clean simple lines creating a stylish backdrop for the resort’s beloved pianist, Eddie, who has delighted Manchebo guests for more than 25 years. The finest beef, pork, lamb and veal shine in the spotlight at The Chophouse but featured amid these steakhouse essentials is some of the island’s most authentic cuisine, including Keshi Yena and Carni Stoba, a stew of beef, olives, tomatoes, cilantro and other goodness. An added bonus? Every entrée is expertly paired with a suggested wine. The domain of Chef Mylene Lapinid, an expert in Japanese cuisine, Omakase is our boutique sushi bar. Tucked within the brand-new Chophouse, this ultra-stylish eatery offers yet another distinctive dining experience at Manchebo. Highlights include our namesake salad featuring marinated lump crab, Manchebo Special Maki and the chef’s surprise Four-Course menu. My colleagues and I had the opportunity to have dinner here and we were very impressed! The new interior, the décor, the smiles and the atmosphere all made for a very fulfilling evening. The food was more than up to par, our taste buds were running wild with all the different flavors and variations that we had to choose from on the menu.